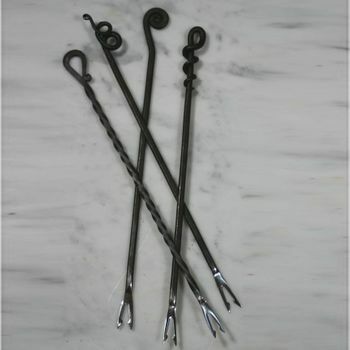 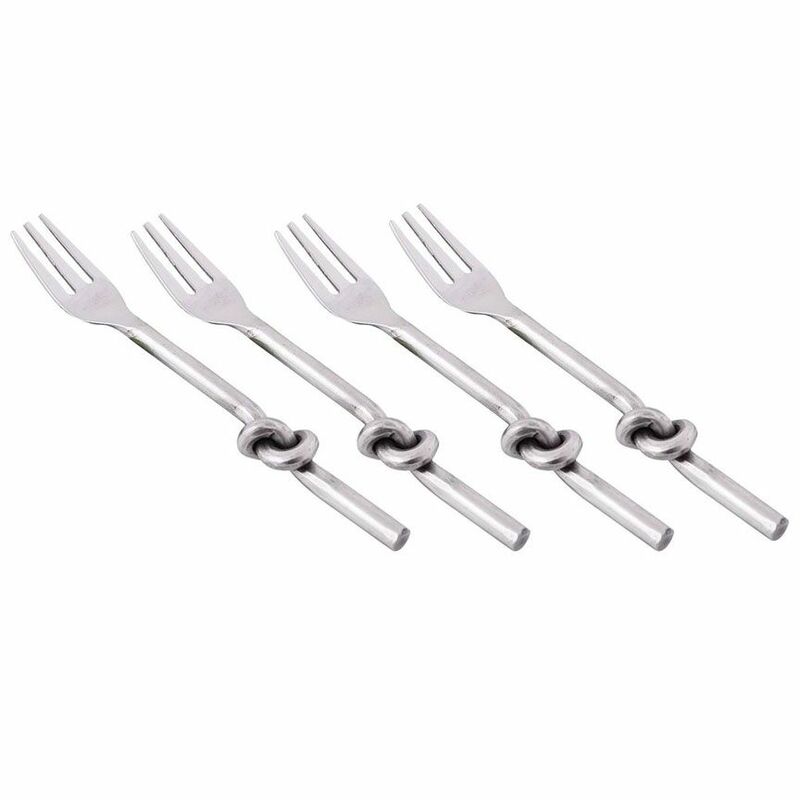 Sassy little trident shaped stainless forks wear a handle of forged and remarkably knotted iron. 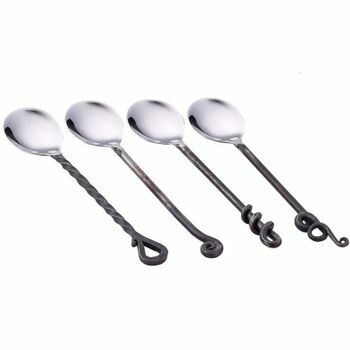 Distinctive and delightful specialty servers! 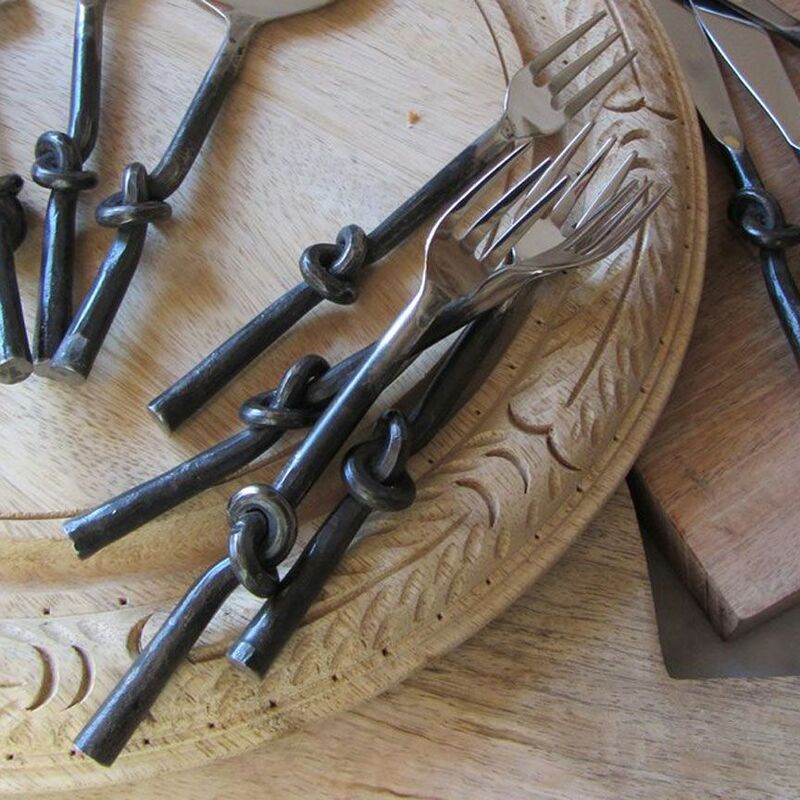 Available in a rustic finish as shown or in a wholly polished version.